Jalan Ipoh Yong Tow Foo has relocated several times in the past few years, but they have always remained in the same namesake neighbourhood. 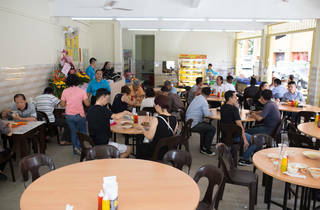 The current location, however, is probably their best yet – it’s a lively kopitiam-style corner lot in a shophouse stretch with easy parking. 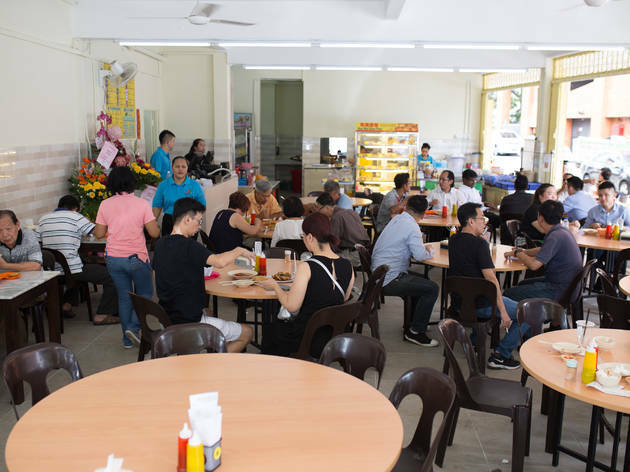 But wherever they go, the crowd follows as the yong tau foo are consistently reliable and the selections are generous in size and relatively cheap. They have ‘paper chicken’, the fried fu chuk is crispy and addictive, and don’t leave until you’ve tried the fruit rojak; the thick, chunky rojak paste is a winner – ask for extra har peng (prawn crisps).